Through a generous donation from local Lambeth firm, Winn & Coales (Denso) Ltd, the Walcot Foundation has made a £15,000 grant to The Norwood School for its pilot “Raising the Game” project. The focus is pupils from black and minority ethnic backgrounds who have been identified as likely to struggle with the transition from primary school to secondary school. Through intensive early intervention, workshops and support to parents, this project will improve pupils’ confidence, behaviour and reduce exclusions in the school. Winn & Coales (Denso) Ltd, established in 1883, has been at the forefront of cost-effective, long-term, corrosion prevention, weatherproofing and sealing technology for over 90 years. The company’s manufacturing site has been located in West Norwood for over 60 years with many of their employees drawn from the local area. “We are actively involved in supporting the local community and are proud to contribute to the Walcot Foundation and their sustainable causes.” Chris Winn, Managing Director, Winn & Coales (Denso) Ltd.
Lambeth Larder is a community food resource. It helps connect local people to emergency food and support. Become a Community Money Mentor! Lambeth's Centre70, with Toynbee Hall, is offering the opportunity to gain a nationally recognised qualification in money mentoring. The course begins on 6 February 2019. 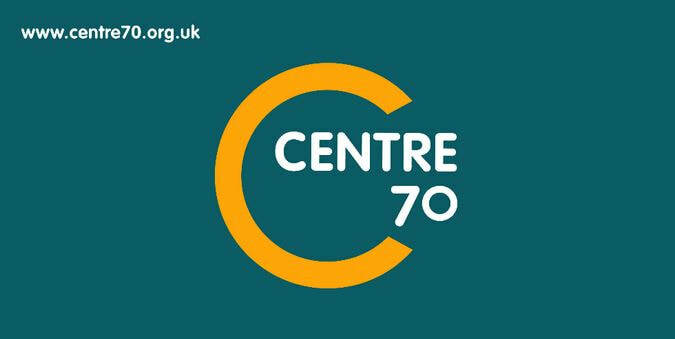 More details on the Centre70 site here. Advising Communities carried out research on the impact of full roll-out of Universal Credit in Lambeth and Southwark. This research involved interviews and surveys with 143 claimants and 72 local agencies affected by the introduction of UC. This was enabled through joint funding by United St Saviours Charity and Walcot Foundation. Significant numbers of UC claimants are struggling. The complexities and administrative challenges of the new system are leading to widespread emotional and financial stress, with vulnerable groups particularly affected. The impact on the voluntary sector is huge. Claimants are turning to the already stretched local voluntary sector agencies for support and advice. Personal, holistic and properly resourced support for claimants, that takes into account needs such as language and IT capabilities, is critical if Universal Credit has any chance of success. This Research was launched on 23 January at a Roundtable event which involved Lambeth and Southwark Councillors and staff, funders, local advice agencies and Neil Coyle MP (and member of Work and Pensions Committee). This research will be submitted to the Work and Pensions Committee as part of their ongoing review of UC. Become a Living Wage Employer from Living Wage Foundation on Vimeo. See our Annual Review 2017/2018, Unfinished Business, online. FullFact.org has produced this concise introduction to the facts and figures concerning UK poverty. These reductions - part of the wider, severe cuts to public spending - have had a major impact on a range of provision that offered support and engagement to young people. The long term costs of this are likely to be significant. New figures published today suggest that the number of children from working households growing up in poverty is set to rise to 3.1million this year – 1 million more than in 2010. The analysis by Landman Economics for the TUC also shows that 600,000 children with working parents have been driven into poverty as a direct result of government policy.